A visit to the African savanna is just what we needed this week as temperatures dipped below freezing and it even snowed!!! 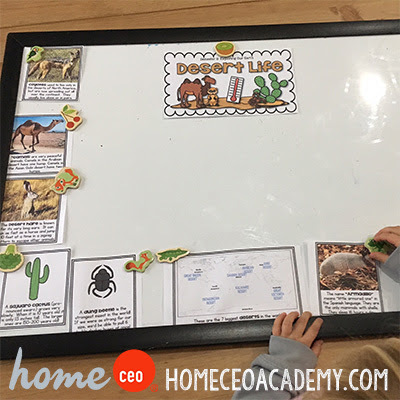 Safari Life is week 14 in our 30 week long 4 year old curriculum bundle. Want to join us on the adventure? 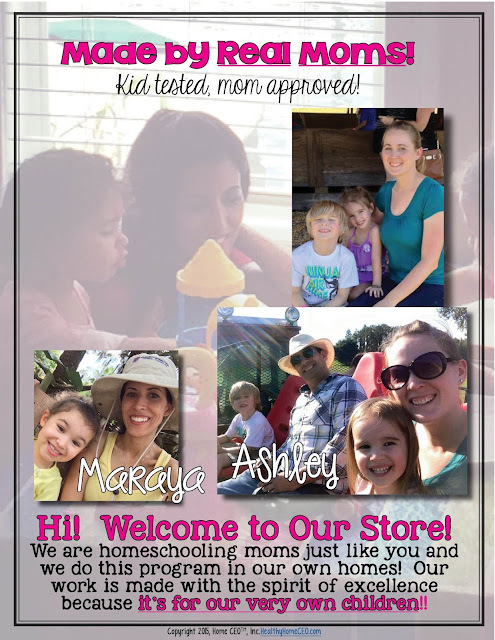 Click here to get the Safari Life unit! Who remembers my blog about the Norway unit we did a few months ago? In it, I said Golidlocks and the Three Dinosaurs by Mo Willems was amazing and needs to live on your personal bookshelf. 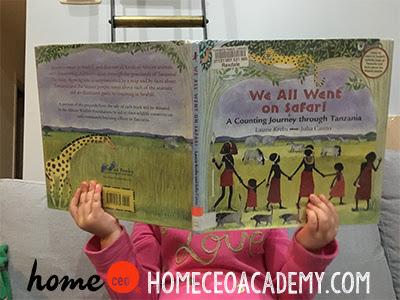 Well, We All Went on Safari by Laurie Krebs needs to be added to your shelf as well. It would be a gross understatement to say we have read this book 50 times over the past week. My best guess would be at least 70! 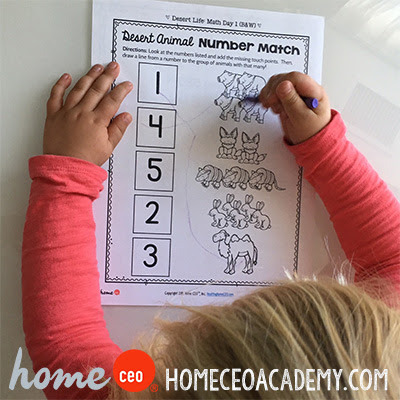 I love this recurring worksheet! We struggled for a while upper case to lower case recognition, but now its a breeze! The math activities this week were super fun! 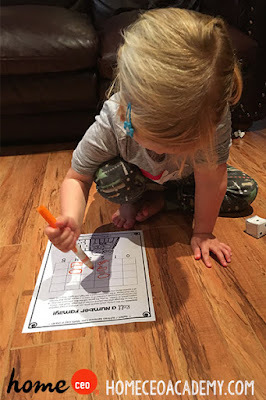 Kylie can't resist a dice game! 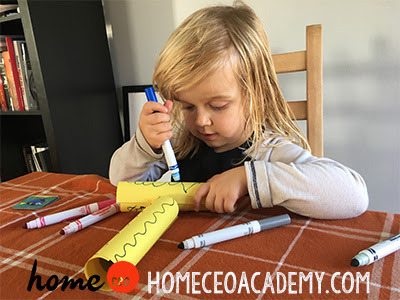 During our art block, we made toilet paper tube binoculars. 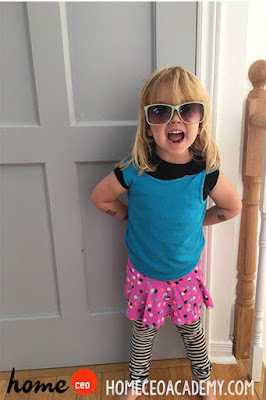 Kylie had so much fun decorating them that she had to make a second pair! 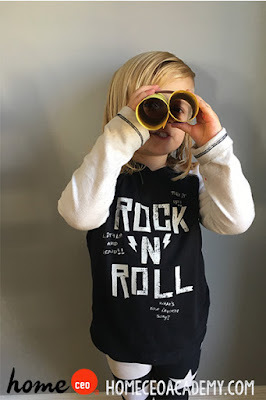 These would make a great addition to our back yard safari gross motor activity! We did it inside because it was too darn cold to walk around in the yard! 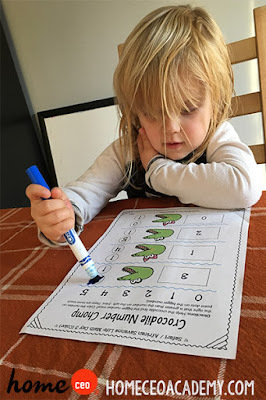 We added a new page to our science notebook- the life cycle of a crocodile! 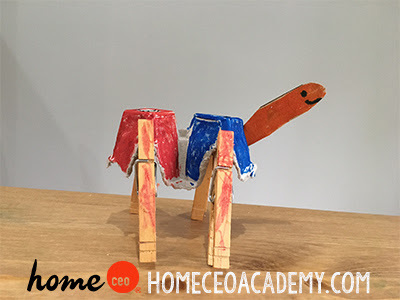 **Home CEO Hack** Youtube has some great videos of animals hatching your future scientists might enjoy! Join us next week when we explore Forest Life! It is almost Thanksgiving?!?! It seems like just yesterday, we were all outside in shorts and tee shirts grilling for the Fourth Of July! 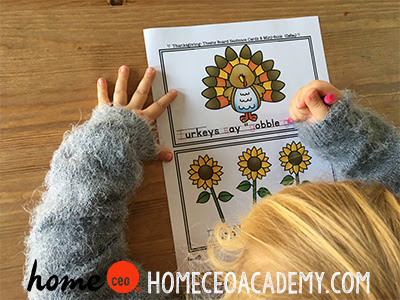 If you have purchased our complete 4 year old program, this Thanksgiving unit has been added to your curriculum library. If you haven't bought our 4 year bundle, don't worry! 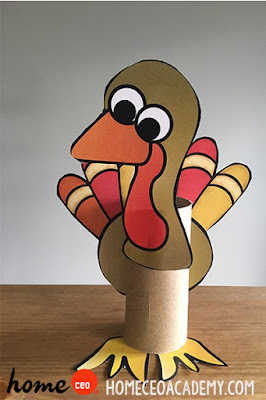 Our Thanksgiving unit can be purchased a la carte here. Check out some photos from our week! How cute are these leaf shaped theme board cards??? Kylie is 4 1/2 now so she is just now "getting" that Thanksgiving is a holiday like Christmas and Easter. Meet Tom the Turkey! 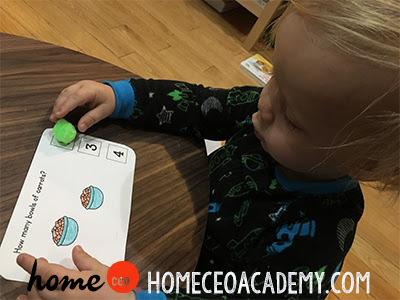 He was very hungry this week and we"fed" him lots of letters our favorite food started with. Our language blocks had Kylie building an 8 page Thanksgiving story that focused on pattern recognition, letter sounds, alphabetical order. I'm not much for sports analogies, but the language activities this week were a real home run! 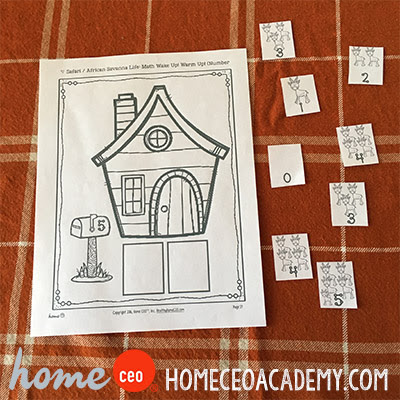 Roll, record, and race to 10 is a house favorite math activity! This edition had the added bonus of being able to use Kylie's favorite joke from It's The Great Pumpkin Charlie Brown. Every time she rolled Plymouth Rock she said in her best Charlie Brown voice, "I got a rock." 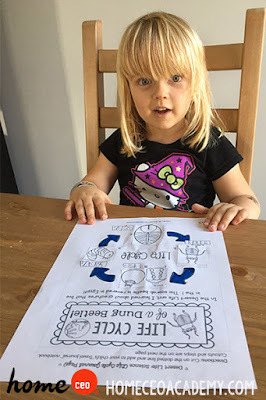 Not bad for her first color by number worksheet, eh? 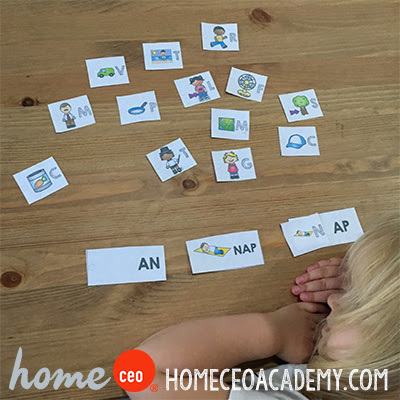 Seriously ladies and gentlemen, this has been my (and I'm pretty sure Kylie's) favorite unit from the Age 4 curriculum bundle! It was too stinkin' fun. 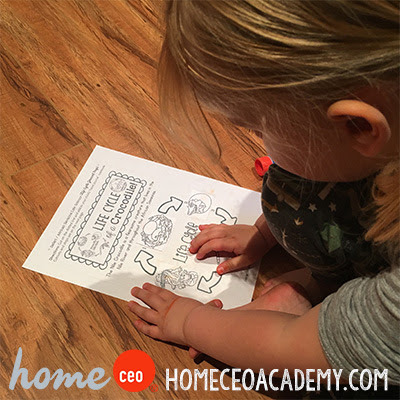 If you want to join in on the fun, you can buy this unit here or our entire Age 4 program here. Hello! My apologies for the gap between posts. We just moved from California to Toronto! 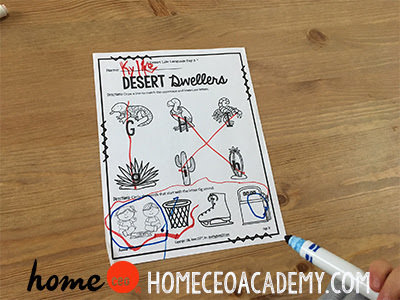 We are finally settling in and Kylie and I are so happy to be getting back into our second semester work with our "Exploring Our Earth" Here are some pictures from our week 15 desert unit which is available on our TpT page here. 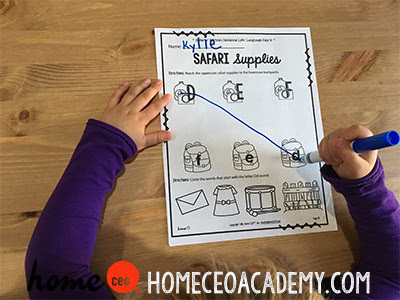 **Home CEO confession** I (literally) just realized I skipped over our Safari Life which is week 14. Ops! When our moving pods got delivered to our new house in Toronto, I expected Kylie to say "My puzzles are here!" or "My legos are back" or even "Hey there is our TV. Daddy can we play Mario?" Nope. "Oh hey, my theme board is back!" she said as we unloaded. In this edition of The Legend Of The Lost Words, we hunted and built _ig and _ad word. 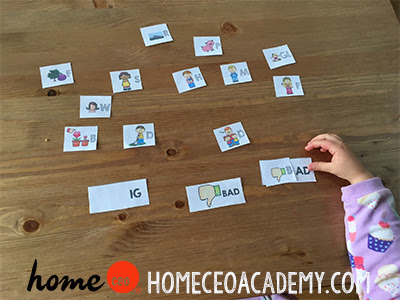 **Home CEO Hack** This game is a great opportunity to synonyms! Glad also means happy! Dad also means father! The other language activities for desert unit were fun! 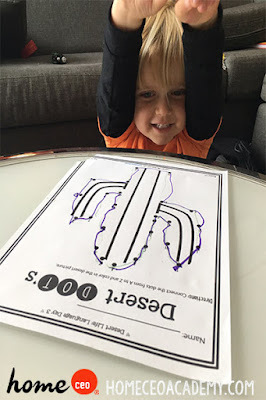 Over the course of our cross country drive, Kylie got to do a lot of dot-to-dots at restaurants. "You don't need to read me the directions Momma. I know how to do this one already." 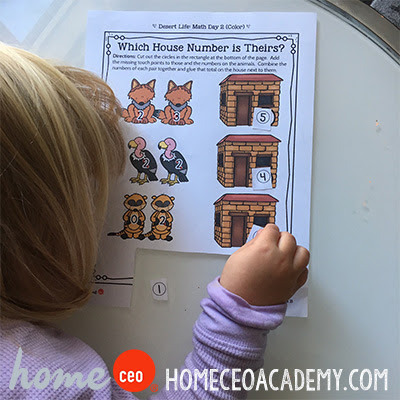 I loved that the math worksheets incorporated a lot of the theme board animals! This is the face of a girl who was just told that the dung beetle eats its own poop! 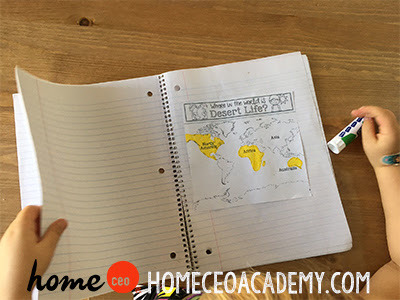 We finished off this unit by adding a new page to our notebook showing us where deserts can be found in the world. If you want to learn more about our second semester "Exploring Our Earth" curriculum bundle, click here!